I liked seeing Eastern Washington on the schedule at first, because my study of the Eagles (for Vernon Adams articles) revealed a sophisticated passing offense. Their strength matched up against our weakness? I love it. I wanted our young turks to get schooled and learn a ton before the games that count (beginning in late October) are upon us. I thought there was a ton of talent in our underclassmen DBs, but the only way to get them serious about absorbing it all was to be toasted early and often during the games of September. I personally predicted a 55-34 Oregon win because I believed in the expertise at EWU and the scoring potential of the Oregon offense with Vernon Adams. Like you, I did not like getting 42 points hung on the Ducks, but what can we expect? 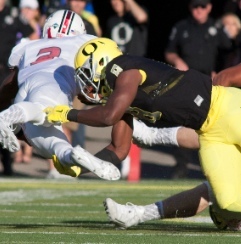 Just as I told you in July that Adams was going to be special for us, I believe on the defensive side of the ball that the Ducks will be just fine, and will materialize into a formidable force by the time they play Arizona State. 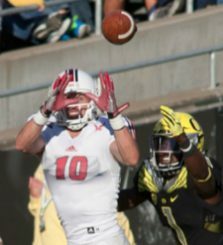 I decided to contact former Oregon Safety Ryan Mitchell and a few coaches that consult with us at FishDuck.com, who offered some interesting comments about the defensive backs and this defense. These defensive backs are young and very athletic, and fortunately young defensive backs make the kind of mistakes that can be fixed. 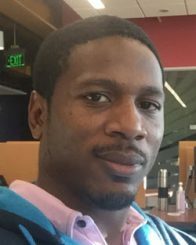 Ryan explained that these rookies made many rudimentary mistakes that veterans don’t, such as looking into the backfield and losing the receiver downfield, or not placing a hand on the receiver and giving up the slant route. Wow. We are going to learn a lot about secondary strategies and techniques with Ryan around! What about this game against Michigan State, Ryan? This other coach thought defensive back coach John Neal’s recent comments echoed his sentiments. “You can’t stop a well-run spread offense unless you have a talent advantage on defense.” Since that does not happen when you play the better teams, other factors have to enter into it. The coach thought that even in retirement … he could stop an NFL offense or traditional offense played in college; but when facing a spread offense, a defensive coordinator can only hope to slow them down. What about this Saturday against the Spartans, Coach? My friends, this is why I spend a ton of time talking to coaches — because they know so much more than us fans, and because it is great fun to learn more about the sport our beloved Ducks have become so good at. My prediction? Look for a 45-27 Oregon win that is much closer than the final score appears. Things will be neck-and-neck until Vernon Adams makes some kind of “Big-Play” that turns the game, just as the pitch-out from Marcus Mariota to Royce Freeman did last year.